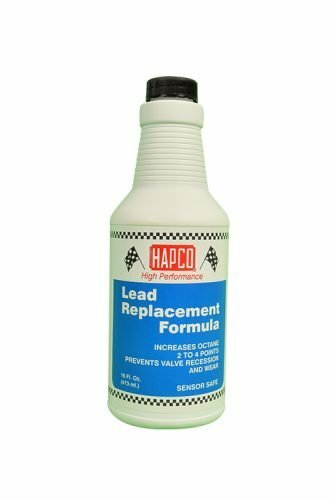 Hapco Products - Lead Replacement Formula – 16 oz. Hapco Lead Replacement Formula provides maximum lubrication to any fuel system. This formula is designed to help fuel become more efficient and increase fuel economy. It replaces lead while acting as an octane booster and valve lubricant. Does not contain solvents or lead. For Best Results: Use regularly as you fill up. One bottle will treat up to 25 gallons. Great to use in all gasoline, diesel and marine engines. Sensor safe and will not harm oxygen sensor or catalytic converter. If you have any questions about this product by Hapco Products Co., contact us by completing and submitting the form below. If you are looking for a specif part number, please include it with your message. Energy Release P023 Motor Flush - 15 fl. oz. HI-Gear HG2205s 5 Minute Motor Flush, 15 fl. oz.